Who exactly is this eccentric wannabe cook anyway? Learning to cook with a pinch of panic and a dash of daring. 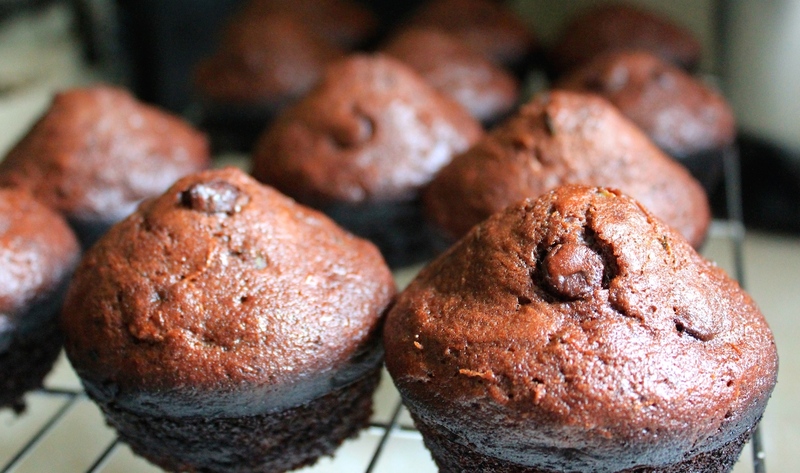 Zucchini Bread & Muffins: Substitutions for the Win! Recently we were away visiting my partner’s brother on the family farm. 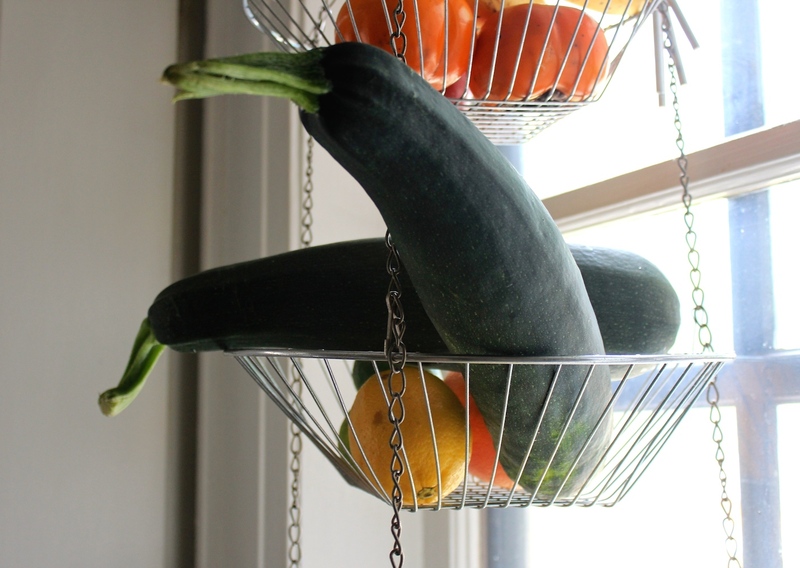 Aside from a lovely piece of land and variety of animals, they also have a fantastic garden that creates more gigantic zucchinis than one knows what to do with! We came home with four and today I finally used up a couple of them. I think I see a stir fry in our future! Click here for the recipes or scroll to the bottom of the post. 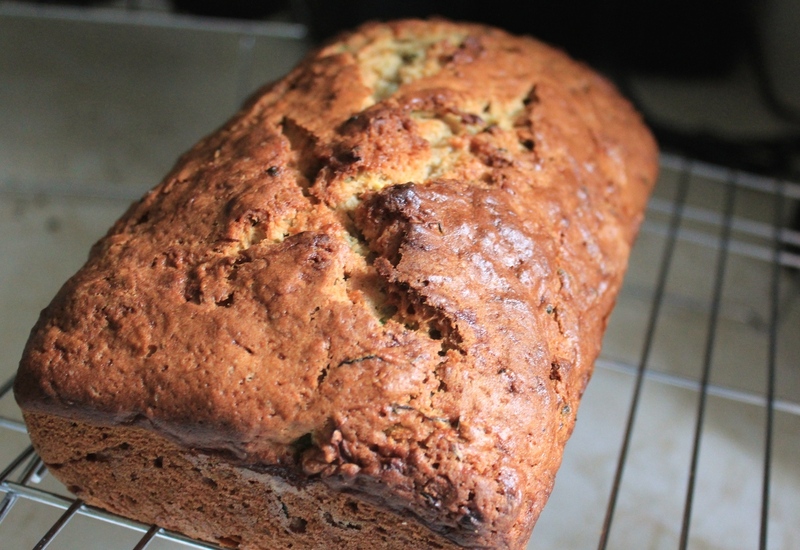 So, to use up the zucchini we had, I decided to make zucchini bread and chocolate zucchini muffins. The bread turned out awesome! Moist and yet dense enough that it doesn’t fall apart when you cut and butter it. The muffins are brilliant too…the only problem is that I left them in 3 or 4 mins too long and the bottoms started to burn. Luckily they’re slightly crisp but it’s really not noticeable, especially when you’re distracted by the chocolatey goodness! I have to say that I’m extra happy with how they turned out…since I had to substitute ingredients because there were items I either didn’t have or that ran out as I worked. Substitutions for the win! Here are the substitutions I made…. I have altered the recipes below to include my substitutions since I really like how everything turned out. Preheat oven to 350 degrees. 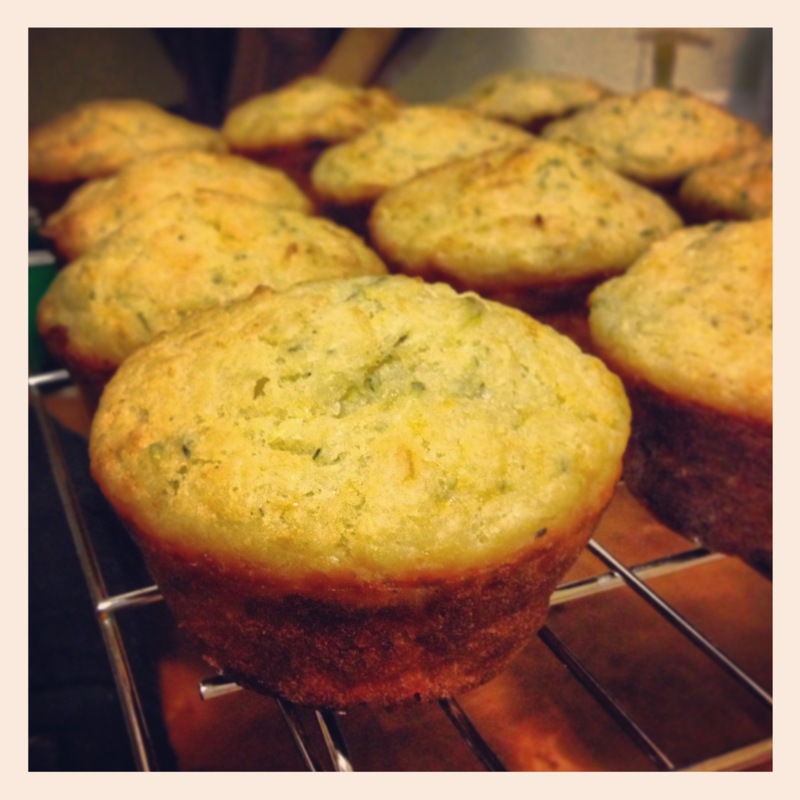 Butter or grease a muffin tin. Whisk together flour, cinnamon, baking soda, salt, cocoa powder in a small bowl until combined. Set aside. Beat together sugars, oil, and eggs until slightly fluffy. Stir in vanilla and yogourt. Fold in the grated zucchini (and zest if using). Add to the dry ingredients. Stir to combine and add the chocolate chips. Don’t stir too much or the dough will bake denser than desired. Fill your muffin tin, each spot a bit over halfway. 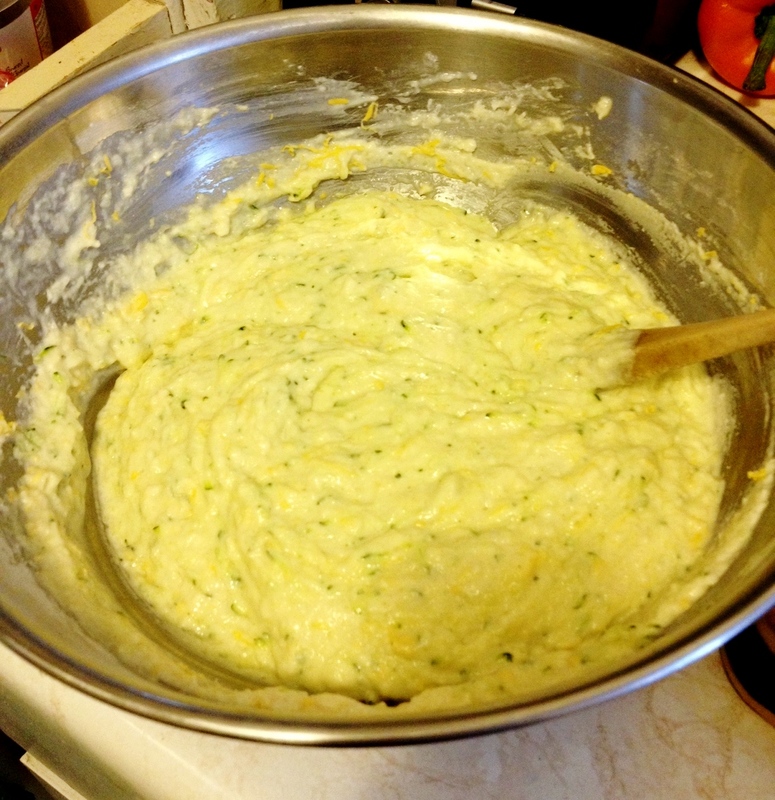 Fold wet mixture into dry mixture until just combined and then fold in the zucchini. Transfer the pan to a wire rack to cool slightly, and give it about 15 minutes before transferring the bread from the pan to the rack. Seedy Shortbread Cookies – making my taste buds happy! 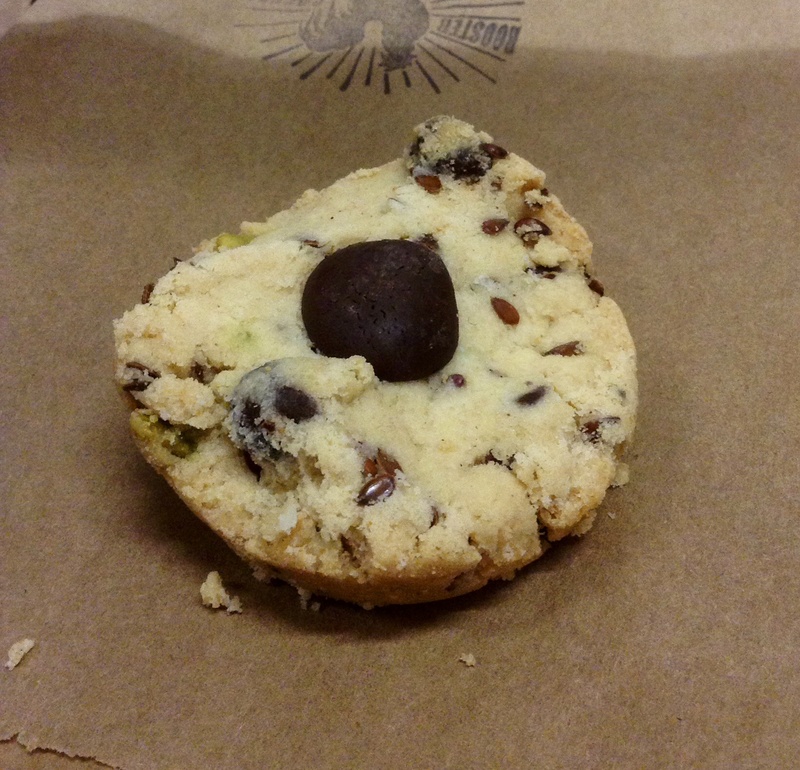 Shortbread with chocolate, flax seeds, pumpkin seeds and a hint of cinnamon. I am now on the hunt for a recipe as my grandmothers shortbread recipe creates cookies that I feel are too flaky to handle the addition of seeds. Anyone have a recipe out there?? it’s an amazing thing for someone who, two years ago, didn’t know her way around her own kitchen. A couple of weeks ago, I was at a friend’s house and we were all waiting for some out-of-town guests to arrive. About thirty minutes before the scheduled arrival time, my friend’s husband (who is also my friend of course!) commented that “perhaps I’ll make some cookies”. What came out of the following conversation was the point that once you’d made a food enough times, you could do it effortlessly and quickly…at any time. He had so much experience making cookies that he could throw the basic recipe together in minutes and simply add whatever cookie…accessories, shall we say….that he had on hand. I haven’t gotten to that point with cookies yet. I have worked with substitutions but I still need a recipe. But yesterday, I had a similar moment with muffins. I had company coming over and shortly before arrival, not 30 mins I admit…more like an hour and a half ahead of time, I suddenly decided to make muffins. Again, I don’t necessarily have a basic recipe memorized, but I have mixed the base ingredients enough times now that it felt do-able. It was an awesome feeling! To feel confident enough to start making a mess in the kitchen as company were on their way, knowing that you could finish and even have the dishes done before they arrived! It has taken a long time to feel that kind of comfort in my kitchen. and suddenly every vegetable in your kitchen has been grated while you were zoned out dancing to Peter Murphy! Dry ingredients in one bowl…wet in another. Fold the wet into the dry and then add the zucchini and cheddar. Mixed dough, ready to be baked! So, for the 2 eggs, I substituted 2/3 cup applesauce. For the buttermilk, I made my own using lemon juice: 1 1/4 tbsp lemon juice in a measuring cup, followed by enough milk to have 1 1/4 cups. Then, I lightly coated my muffin tray with some butter, filled the cups? (Is that what you call them?) and placed the tray in the 400 degree oven for 25 minutes. 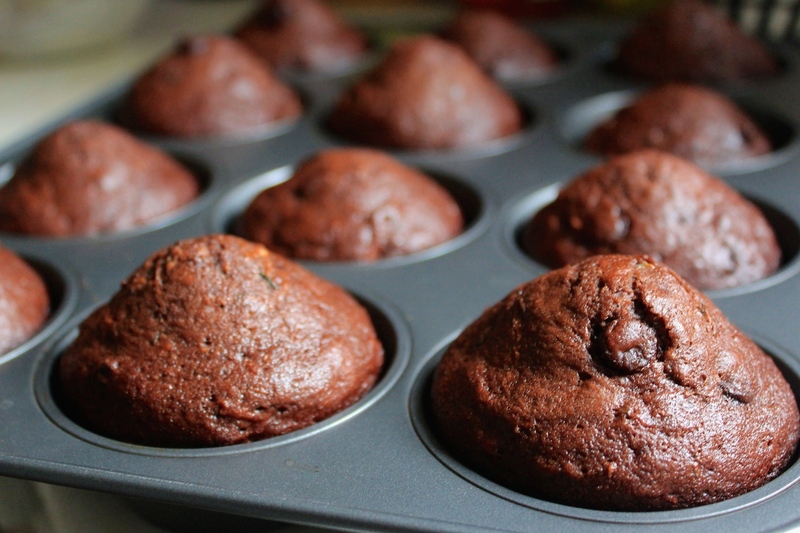 These muffins didn’t rise very much so you can really fill the tray. I left 1/4″ or less at the top of each and that worked out well. Make them just before company arrives. I dare you! Whisk together dry ingredients: flour, baking powder and soda, sugar, salt. Mix eggs OR applesauce, buttermilk, butter in another bowl. Gently fold that mixture into the dry mixture. Fold in the zucchini and cheddar. Prepare a muffin tray, I added a light coating of butter. These muffins didn’t rise too much so I was able to fill my tray, leavning the slightest bit of room at the top of each. Bake 25-30 minutes or until a toothpick inserted comes out clean. Allow to cool for 10 min before removing from tray. Enter your email address to subscribe and be the first to hear of the most recent kitchen-splosion! I am not afraid. Sign me up!